Spinach suffle is a very good appetizer or as an accompaniment to fish. The last time I did a suffle was on 80’s. So it was a while ago. One tip I would like to come by if you are going to shoot a freshly baked suffle, it is for you to make sure that the camera is not malfunctioning, as it did for me. It was so high and fine, but could collapse before the camera decided to work. Thaw the spinach and let it drain thoroughly. Do a base butter and flour. Pour over the milk and let it simmer for a few minutes, stirring occasionally. Add the spinach and 5 egg yolks (save the whites). Season with salt and lemon pepper. Stir. Beat egg whites until stiff and fold into the spinach mixture. Fill 6 greased and breaded molds. Cook in the oven for about 20 minutes. Serve the mackerel or salmon. I have yet to muster the courage to make a soufflé and yours does sound delicious. 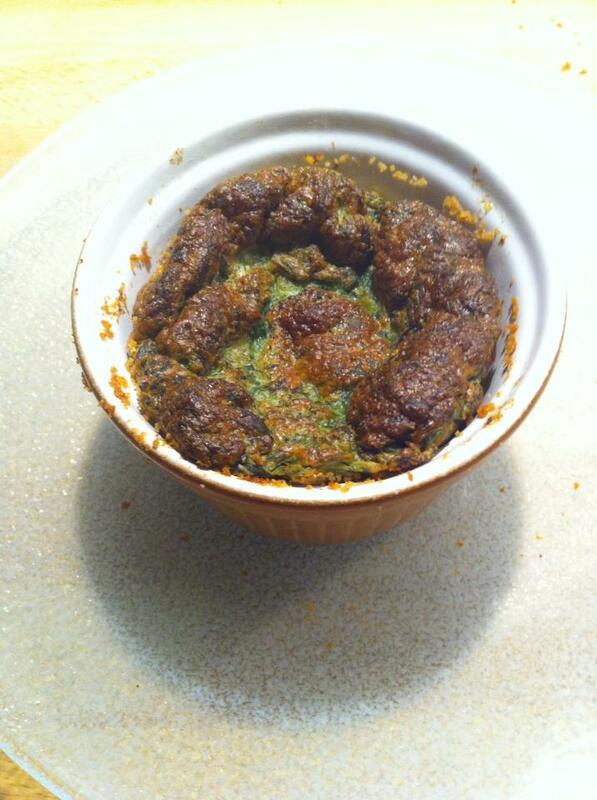 How frustrating to have your camera malfunction when trying to take a photo of your soufflé, of all things. This looks delicious! I have never made a soufflé. I have always enjoyed eating them however. I think I will have to try and make this one! !